Americans spent an estimated $53 billion on their pets in 2012, a number that’s grown nearly 30% in the past five years, even as the economy tanked. 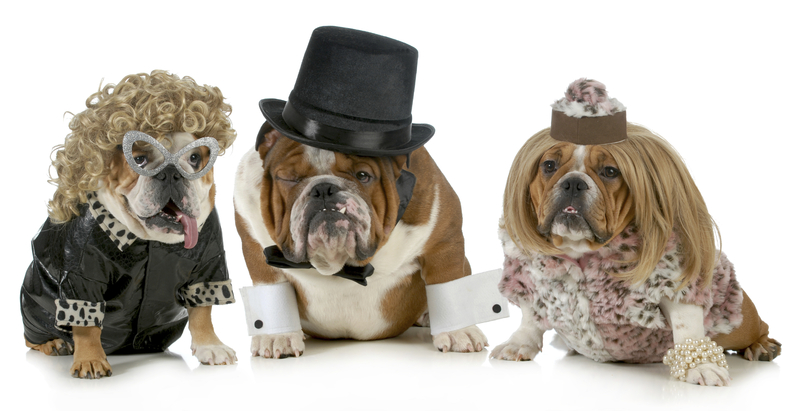 Last Halloween, pet owners were projected to spend $370 million on their pets’ Halloween costumes – a 40% increase from 2010. Several factors account for the rise in pet spending, including: Americans have a third fewer friends than they did 20 years ago and the number of Americans living alone – one in seven – is at an all-time high. These trends partly explain why about four in five animal owners think of their pets as children, and 58% even call themselves the “mommy” or “daddy” of their pets. This higher status of pets in the eyes of their owners has even resulted in one million dogs being named beneficiaries in their owners’ wills. The $53 billion that Americans spend on their pets puts the U.S. pet industry firmly between Slovenia and Bulgaria in terms of economic size, thus ranking it around the 75th largest economy in the world. Further, the $370 million spent on pet costumes alone would rank as the 189th largest economy in the world between Tonga and Micronesia, according to Wikipedia. 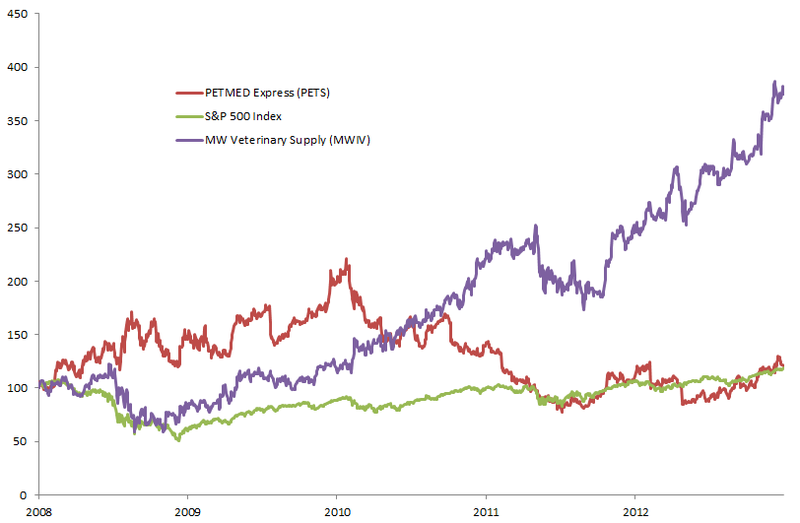 In the below graph, you can see that if one would have made PetMed Express (PETS) and MWI Veterinary Supply (MWVI) into an index and packaged them into an ETF, it would have made for an interesting investment relative to the S&P 500 over the past five years, even considering the Lehman collapse and summer 2011 doldrums. Are you listening Blackrock??? It appears MEOW is still available as a stock ticker. Further, given that seemingly rational people I personally know often refer to their animals as their “kids”, this trend may continue for some time.